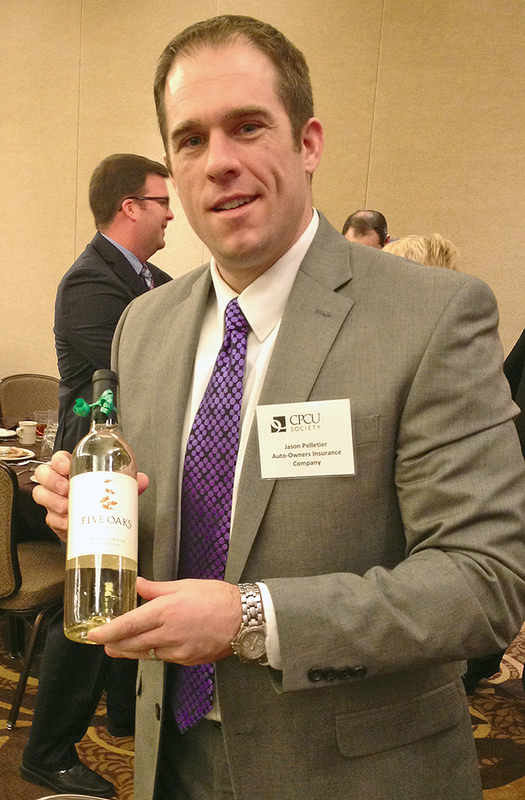 Jason Pelletier from Auto-Owners Insurance shows off the gift he selected at the December meeting’s annual holiday giveaway. Over 40 prizes were claimed by Chapter members. 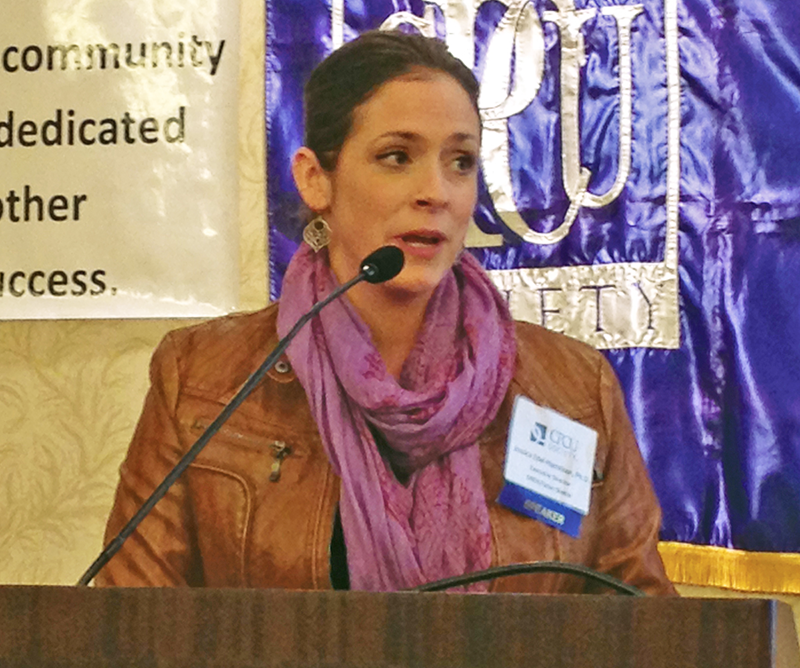 Jessica Edel-Harrison, executive director of SIREN/Eaton Shelter, was December’s guest speaker. Jessica discussed how the shelter services the community by providing temporary housing and aid to victims of domestic violence. Monica Almy, Farm Bureau Insurance, receives the President’s CPCU Excellence Award from outgoing Chapter President Andy Corbin at the December meeting. 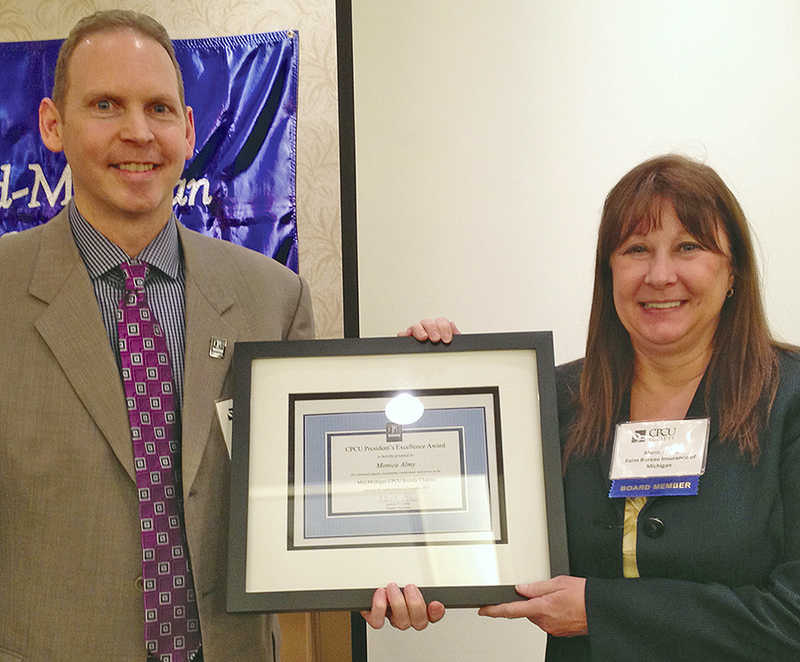 The award is based on Monica’s continued support, commitment and service to the Mid-Michigan CPCU Society Chapter.